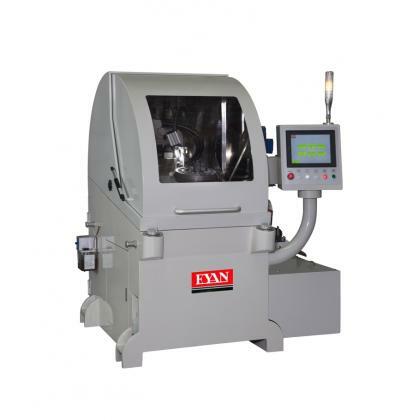 EMA 4A series Circular Saw blade Sharpening Machines are CNC Circular sawblade sharpening machines with four axes servo control. 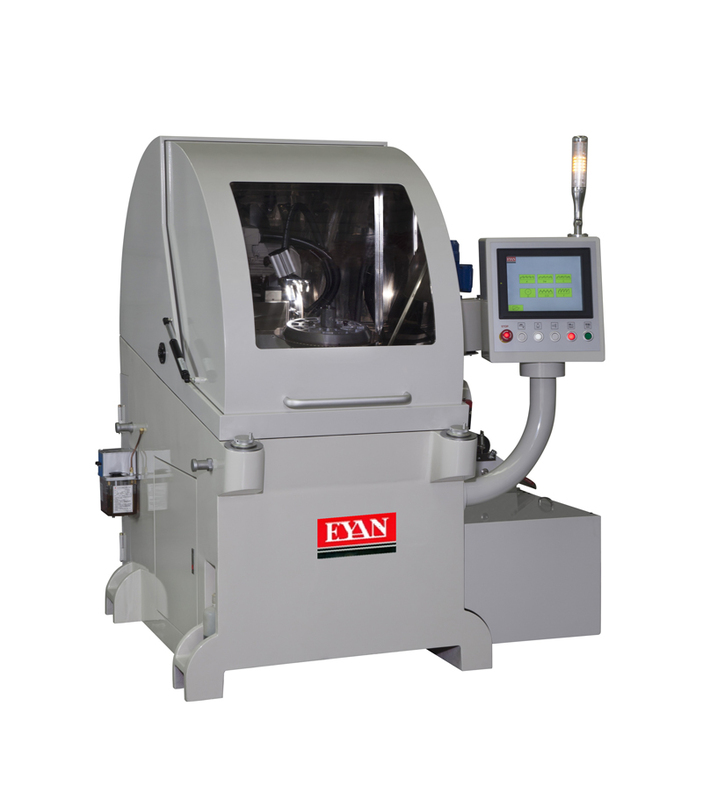 Fully automatic operations for sawblade outer diameter, number of teeth, sharpening amounts, cutting angles, back clearance angles, and up-down chamfer. Humanized two hand wheels make sharpen teeth easy to operate. The full range of machines use cast iron base to strengthen the machine’s rigidity and reduce resonance. With quick saw blade locking nut, it is easy and convenient to lock saw blade with one wrench. The fully-enclosed splash guard is standard equipment which uses SU304 stainless steel for inner cover. The guard prevents dust pollution during wet sharpening, reduces noise, and provides an excellent working environment. The new designed and special window provides widen vision and it is easy to see the grinded object. Oil mist filter, iron filings filter and cooling high-pressure pump are the standard accessories. The newly designed touch screen with patent graphical display makes no language barriers. Any language speakers can learn quickly. 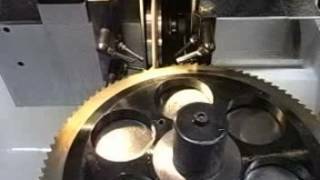 Adding F & ECO type of teeth for friction saw blade grinding. EMA models are the best choice for your working requirement. All specifications, dimensions and design characteristics shown In this catalogue are subject to change without prior notice.